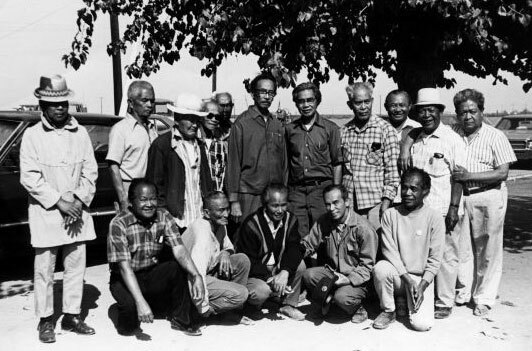 Philip Vera Cruz was a Filipino American labor leader. He was born in Ilocos Sur, Philippines, but later immigrated to America in 1926 in pursue of his dream of furthering his education and to hopefully send back money back home to support his family. Philip struggled to complete his educational endeavors due to his financial situation back home so he foundd himself hopping in and out of school to work in order to support his mother and his two siblings in the Philippines. Philip was able to fund the education of his brother and sister back home. Though he had his setbacks he was still able to complete his education. Philip was not a stranger to hard work he worked many menial jobs ranging from working in restaurants, in an Alaskan cannery, a box factory, as a farm worker, and pretty much any job he could get. Through his experience with the struggle of working in the labor force as an immigrant and with his education he was able to become a great labor leader. He was one of the co-founders of the Agricultural Workers Organizing Committee (AWOC), a labor union that later joined the National Farm Workers Association (NFWA) to become what is known today as the United Farm Workers (UFW). 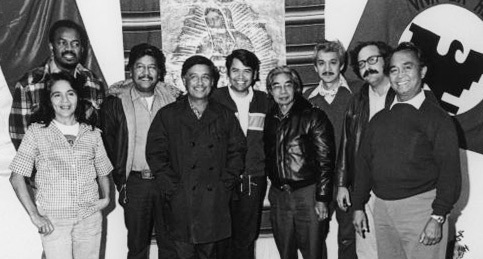 During his years with AWOC, Philip and the other leaders made the decision to start Delano Grape Strike which was one of the most significant and well known strikes in the history of farmworker struggle in California. This strike is what eventually made the UFW. Philip Vera Cruz was the long standing second Vice President of the UFW until he retired in in 1997. Philip Vera Cruz advocated for better rights and working conditions for migrant workers. He once said, “The movement must go beyond its leaders” and he believed in this very much. Although he didn’t agree with Chavez in the UFW with every decision he was able to focus on the movement and push aside his differences. Due to the large population of Mexican farm workers in the union, the Filipinos became the minority group which left many of them feel like they weren’t being included in union decision-making, which ultimately led to many Filipinos leaving. Philip Vera Cruz was a great leader, organizer, and activist whose efforts alongside many others have benefited the migrant workers. He passed away at the age of 89 in Mercy Hospital in Bakersfield, California.